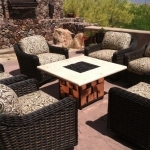 Arizona Backyard Custom will give you only the highest quality craftsmanship. 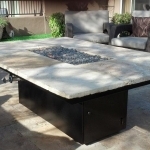 WE GUARANTEE OUR WORK and build our custom propane tables specifically to the customer’s requests. 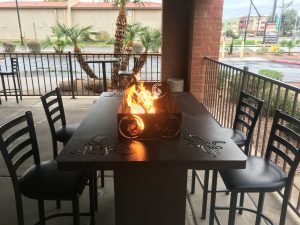 We can design to your ideas for a beautiful table. 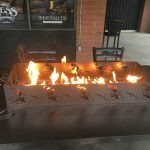 There are NO ASHES, NO EMBERS and NO SMOKE to deal with. 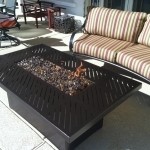 The fire tables work with a standard propane tank or natural gas. 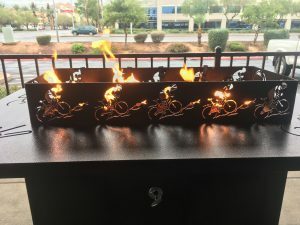 The flame gives off light, warmth and ambiance. 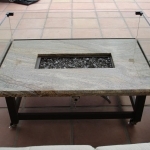 In the table design, we can use SAND, STONE OR GLASS, as they are all inert and are permanent. 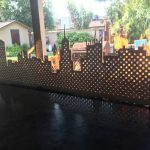 These designs are heavy enough to not get blown by our monsoons, yet light enough to be moved from sun to shade in the summer or winter, allowing for a fully functional piece of furniture. 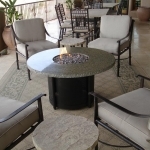 We work primarily with NATURAL STONE, GRANITE, FLAGSTONE, SLATE AND TILE. 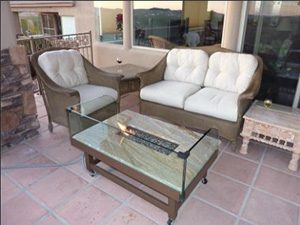 The base frame size can be modified to the customers needs to match or coordinate with existing outdoor furniture and décor. 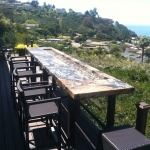 They can range in size from 2’x2′ for small balconies to over 20′ dining tables for commercial use. 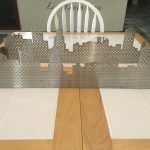 Whatever size you need, we can design it for you! 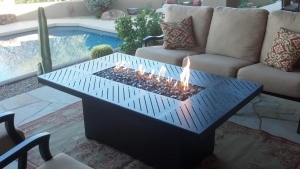 We typically keep about 10 fire tables in stock for immediate delivery if you’re in a hurry. 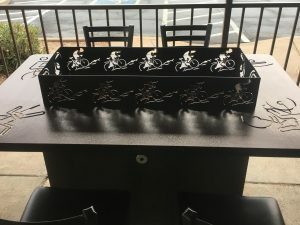 Our typical custom build time is about 4 weeks. 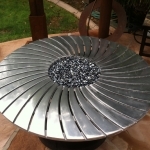 In addition to original designs, we also design and retrofit existing fire pits and fireplaces. 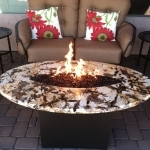 Looking to update the look of your firepit or fireplace? We can do that! 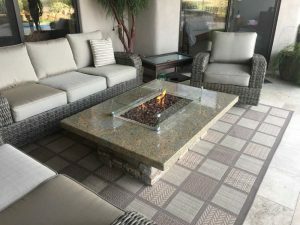 There are no “no burn” days with propane or natural gas & IT’S MUCH GREENER with no particulate matter to pollute our atmosphere. 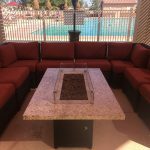 Arizona Backyard Custom will custom design wind guards for your fire pit table so you can enjoy your table all year long, even when it’s breezy outside. 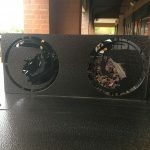 Not only are these wind guards decorative, they add a layer of protection from the flames if you have children or pets. 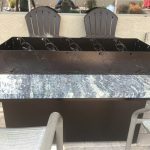 We will come to you for your FREE Fire Pit Table Design Analysis. 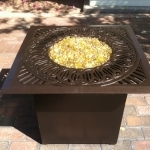 Please Contact Us Today For A FREE Fire Table Design Quote. 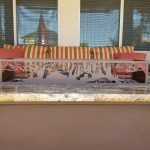 There is absolutely no obligation – CALL TODAY @ (480) 216-1469.